When I’m on the road, I often get questions about the emotional side of pickleball. Prem, do you have any suggestions for how to get rid of the butterflies when I play in a tournament? No matter how many hours we put into drilling and practicing, when we get in a competitive situation, it’s a different ball game, so to speak. Whether you’re playing in a tournament or just find yourself matched against the best team in your club, it’s easy to crumble when the pressure is on. The emotional side of sports can have a lot to do on whether you win or lose a game. A bad call, repeated net shots, or miscommunication between you and your partner can cause any team to perform worse than their potential. Recognizing when your head is getting in the way is one element in helping to perform better; being able to turn a bad situation into a good one is the third. If you’re looking for drills to help overcome the mental component of pickleball, here are some simple mental tricks you can try when you are practicing, along with some of the best (if somewhat bizarre) solutions I have come across to address the nebulous mental aspects of competitive pickleball. I hope you’ll continue the conversation by posting a comment below to let me know the best solutions YOU’VE got in your arsenal. This is an especially good one to use when you are playing with lower-skilled players. (For more tips on playing with higher- or lower-skilled players, check out my most-shared article How to Graciously Get to Play with Better Players (a.k.a. How to Make Sure You’re NOT That Person Everyone Hates Playing With) The idea is to be risky at the beginning, go for the tricky serves, go for the corner lines, take the shots that you don’t usually make, and let the other team get ahead. Then, once they get to 6 or 8 (or even 9!) points, try going into a more conservative, consistent, reliable mode of play. This way, you’ll get a little practice on your risky shots, while also developing confidence that you can play smart & safe when you need to. This seems silly, but for some people, including my wife, it sometimes seems to work. If you know that you have a tendency to let up when you are winning 9-4, do this: Every time the score is called, repeat to yourself, the opposite score (so pretend you are down 4-9) or maybe even 0-0. Get to know what position is most motivating for you personally, and pretend that that is where you are — even when you’re not. 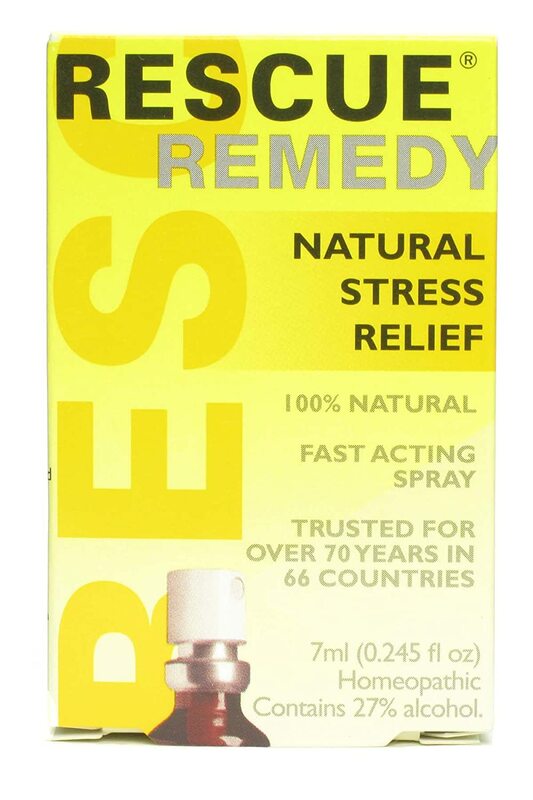 The best cure that my wife and I have found for the inevitable pre-tournament jitters is called: Bach Rescue Remedy. It is available at most health food stores, Sprout’s Markets, Whole Foods, Henry’s Markets, etc for about $12. We like the spray, although there are lozenges & tinctures as well. Don’t ask me why it works, but most of the time, it just does. This is the one I know the least about and have the least experience with, but it came into my awareness recently and I think for some you, it might be just the right thing. Corporations such as Hewlett-Packard, Motorola, and all four branches of the U.S. Military, are now using HeartMath techniques to teach employees how to become more mentally and emotionally balanced, and provide for individual and organizational transformation. Educators have found that school children can better manage their behavior, and improve their ability to absorb academic information by using the techniques. Who knows what it will do for your pickleball game. For a brief explanation of what HeartMath is how to use the “Freeze Frame” technique, see this description of the PBS special on the topic. In one study conducted at Oregon State University, there was a 38% difference between the free throw performance of a group who used this technique over a placebo group. There aren’t many EFT resources out yet for Pickleball, but there are plenty on its effectiveness in other sports. What works for you to manage your stress? What’s your biggest struggle? Please take a quick minute to share your comments below. Here are a few videos that may pique your interest & convince you to find out more about EFT — And most importantly, not to just read about it, but to actually TRY IT and USE IT on a regular basis. It won’t just change your pickleball game, it can change your life. Here’s a question – I never had a problem with my serve. 99.9% of the time it went in. Then suddenly I had a game that hardly any of my serves went in. Now it is a mental thing. I avoid serving first and it doesn’t matter how much I practice when it comes playing time my serves are horrible. I practice and think I have it figured out and then when I go to play, I get maybe 50% of my serves in. I seriously I’m going insane about it. Hi Laurie! I’ve been through that myself, and it’s awful! We actually have an article available that covers this very issue: Yikes! It’s the Yips! Hope this helps! What I learned from playing in the league is that whether or not I’m winning, it’s important to get the most points I can because the points accumulate. That keeps me trying. Even if I’m not playing in a league game, I can pretend that I am and that getting the most points is important. During a tournament, I never worry about how the opponents look, when they”re playing another team. My partner was very concerned, that they looked very good, and I said, “that’s because they are not playing us, I would have ended that point 6 hits ago”. Sure enough, when we played them, there were barely any rallies, as we ended the points right away, rewarding us with a gold medal. Also, I always enter a game, knowing I’m going to win it, with 100% clarity, no question of doubt in my mind….yes, I have lost a few, but I find that by having that mentality, it clears your mind to just play pickleball. Loved the article. I had just the opposite happen to me when I was an active tennis tournament/league player. I loved having “butterflies” because I knew that I was getting “up” for the match and I knew I would be at my competitive best. When I started losing that “pre tournament edge,” my whole competitive nature started to slide. Now that I’ve laid my tennis racquet to rest and have been slowly but surely learning all about the PB game, I find that my “jitters” have gotten me back at my competitive best, wanting to do as well as I can on any given day. Thanks for presenting the “mental side” of the game and I’ll see you in Bend in August.